Allan Julius Busch Jr., age 75, of Hays, Kansas, died Wednesday, July 11, 2018, at Via Christi Village Care Center in Hays, Kansas. He was born November 24,1942, in Quincy, Illinois, to Allan Julius and Etta Mae (Harwood) Busch Sr. He married Connie Lea (Hutchinson) on July 4, 1974, at WaKeeney, Kansas. 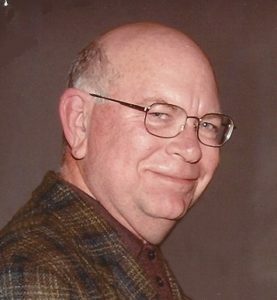 He was a Professor of History at Fort Hays State University from 1972 until he retired in 2005. He served as Chairman of the Department of History from 1986 to 1994. He received his B. A. Degree at Southern Illinois University, his M. A. Degree at the University of Omaha and his Ph.D. Degree at the University of Kansas. He grew up in Quincy, Illinois, he was an Eagle Scout, he graduated from Quincy High School and moved to Hays in 1972. He enjoyed golf and stamp collecting. Survivors include his wife, Connie Busch, of the home; one son, Roberto Busch, Hays, KS; one grandson and one granddaughter. He was preceded in death by his parents. Private services will be held at a later date. The family suggests memorial to the Department of History at Fort Hays State University in care of Fort Hays State University Foundation, P.O. Box 1060, Hays, Kansas 67601. Arrangements are entrusted to Cline’s-Keithley Mortuary of Hays, 1919 East 22nd Street, Hays, Kansas 67601.